The church provides young singers with a unique musical education and gives adults of all abilities the opportunity to sing the finest works of the sacred choral repertoire within a liturgical context. 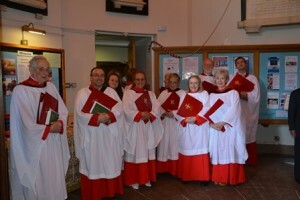 St Chad’s Adult Choir rehearses on Thursdays 7.15pm-8.30pm and sings each Sunday at one or more services. Members are volunteers from a wide variety of backgrounds. The emphasis is on achieving excellence within inclusive worship, and a high standard of sight-reading is required. Please CLICK HERE for the current month’s music and services list. St Chad’s Youth Choir meets on Tuesdays at 4.05pm in term time and sing at Sunday morning 10am service on the first Sunday of each month during term time. 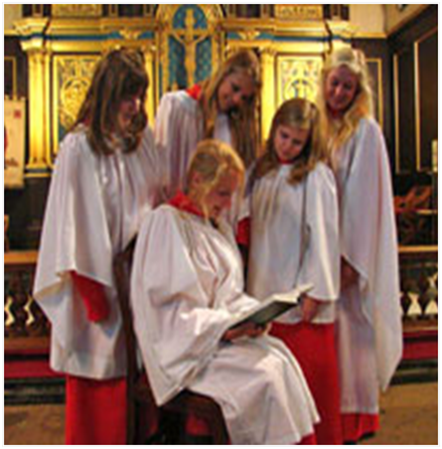 Encouragement and expert help is given to those seeking Choral Scholarships at universities and also can part of the qualfication for the Duke of Edinburgh Award. Please click here for more information about St Chad’s recently released choral CD, a stunning disc featuring both St Chad’s Adult Choir and Youth Choir. Do you enjoy singing? Are you in Yr 4 or above? If you can answer ‘Yes’ to these questions, you might consider joining us at St. Chad’s. To work alongside our flourishing Adult Choir we are developing opportunities for boys and girls.